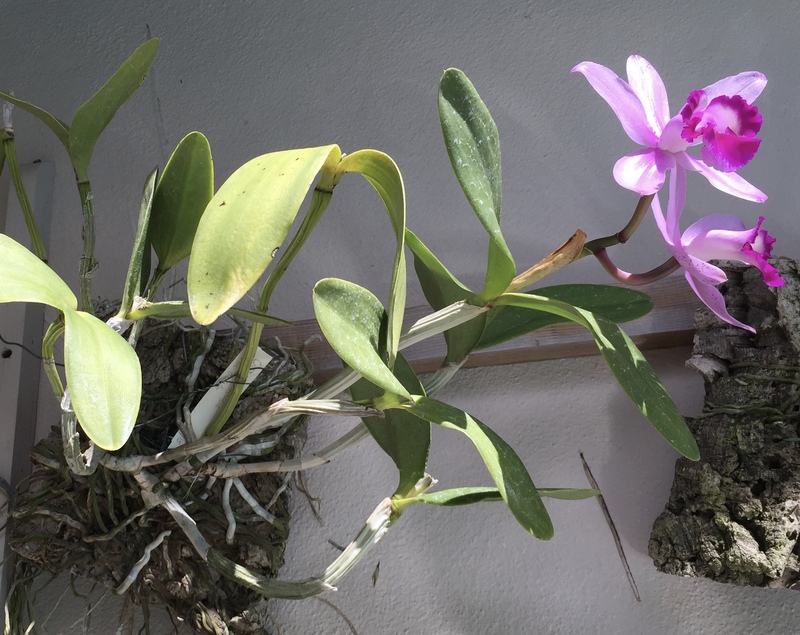 Discussion in 'Orchid Species' started by Harvey south florida z10b, Feb 11, 2019. Beautiful!! My division is in bud. What a beautiful shape! And I love the lip color, too! Yes it is fragrant. I do not like to stake flowers. Some orchids it is required. I avoid those. I like it when they naturally align in an orderly fashion. I will help it along somewhat if needed. Intermedia makes a very nice presentation. These 2 plants were divisions from the same plant at the same time. It likes potting a little better. Both are healthy and happy. One is mounted on cork. The other is potted in lava rock in a clay pot. They both get watered daily. Morning sun and bright shade. As in the picture I like to plant potted plants on the medium, not in it. Some roots grow in the pot others not. I love all those roots hanging everywhere. 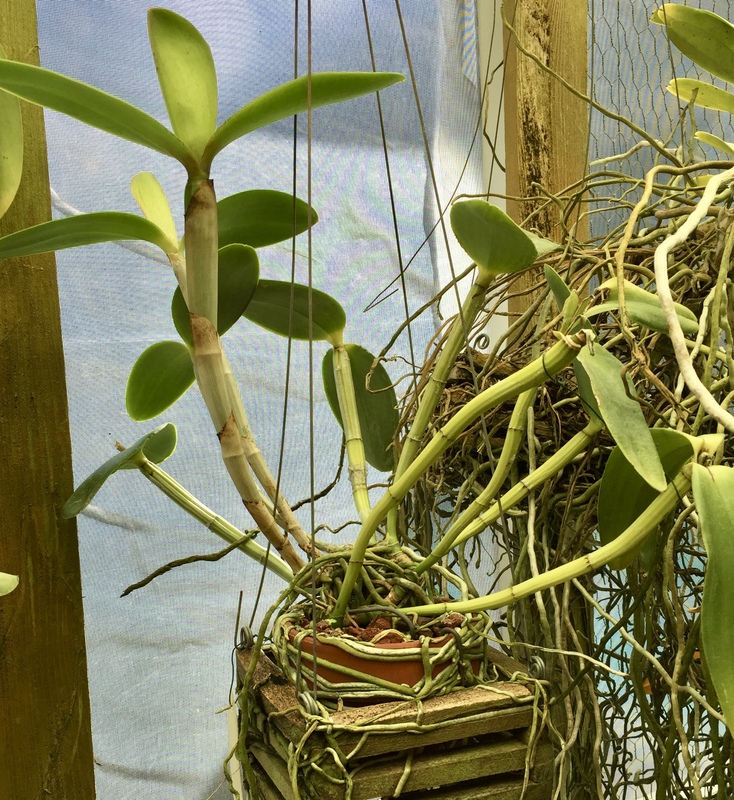 For growing orchids, I try to copy as close as possible, the plants experience in nature, this case Brazil. I imagine the plant on a tree and having multiple rain and dry on a per day basis. Lava rock and clay pots has minimal water retention. So it can take frequent water. My cork mount get daily water too. It probably can take 2 waters a day on cork. But it is doing well. By planting ON the medium it is more like a mount. Not for all orchid types. No phals, bulbo's or phaps to name a few. If the plant likes mounting, then lava and clay pots work. It must be firmly connected with a rhizome clip or 2. My thinking is if there are roots everywhere the plant is happy. It is what they do in nature. I have seen roots more than 30' up a tree. Thank you again. Maxi-crop. I wrote it down and I will search for it.